Once again the courts have agreed with our argument regarding bogus self-employment. 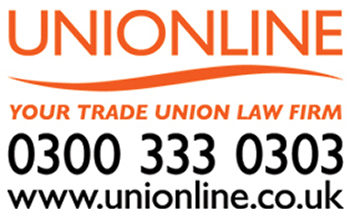 GMB, the union for private hire drivers, has scored another landmark legal victory after an tribunal ruled Addison Lee drivers are entitled to basic workers’ rights. The ruling of the tribunal in the Uber case establishes that drivers are entitled to be paid at least the national minimum wage and holiday pay amongst other benefits.This landmark case has major implications for more than 30,000 drivers across England and Wales. Uber is currently appealing the decision in the employment appeal tribunal, which is due to be heard in September. “Once again the courts have agreed with our argument regarding bogus self-employment. “Addison Lee drivers are worker and are therefore entitled to workers’ rights. “This ruling means yet another logistics firm has been forced to obey the law and honour responsibilities to employees. “We are delighted that the Employment Tribunal has found in favour of our clients. "This judgment acknowledges the central contribution that Addison Lee’s drivers have made to the success of the company by confirming that its drivers are not self-employed but that they work for Addison Lee as part of Addison Lee’s business. "Addison Lee advertises itself as a premium driving service and seeks to ensure that its drivers meet the high standard required for that premium service. However, Addison Lee drivers very often work very long hours, in excess of 60 hours a week, in order to just earn enough to cover their basic living costs. "Addison Lee has sought to deny its drivers the most basic workers’ rights, including to be paid the National Minimum Wage and to receive paid holiday. "This is a very important decision by the Employment Tribunal and will go some way to addressing these issues. This decision will not just have an impact on the thousands of Addison Lee drivers but, following on from the decision in Uber, on all workers in the so-called gig economy whose employers classify them as self-employed and deny them the rights to which they are entitled. "There will now be a further hearing in the Employment Tribunal to calculate the holiday and pay that the drivers should receive. Union claims Addison Lee shirking its responsibilities through bogus self-employment.